Please use contact-form below for your requests about our services and test tools. We hereby inform you in accordance with Articles 13 and 14 of the EU General Data Protection Regulation (DS-GVO) which personal data we have stored for you for what purpose. 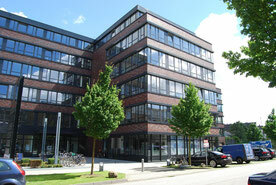 Responsible for the storage and processing is the Viconnis Test Technology GmbH, 22051 Hamburg, Christoph-Probst-Weg 4. The managing directors Mr. Ralf Reche and Mr. Michael Rieck are authorized to represent. We save and process your data for the foundation. Carrying out and maintaining a contractual relationship to provide you with marketing and sales services. For this purpose, we need the following personal data from you: salutation, first and last name, address and function data, communication data (Tel./Fax, e-mail address). If you do not agree with the storage and processing, a contractual cooperation is unfortunately not possible. In the event that services are handled by us through third parties, we will transmit your data to the extent necessary to the respective cooperation partner or service provider. Another transmission of further personal data does not take place and is not planned. A transfer to third countries is not planned and is currently not carried out. We also do not share personal data with other data and do not carry out any evaluations (profiling). We store your data for the duration of the business relationship and over the period of time that the business relationship lasts, for a maximum of 5 years in accordance with §195 BGB. This retention period begins with each new contractual relationship. Individual data may be subject to longer storage obligations for tax and commercial reasons and may only be deleted after expiration of these legal obligations. However, until then, the data will be protected from further access (blocked). You have the right to information, correction, blocking, deletion or restriction of the processing of your data at any time. You may revoke your consent to the processing of your data at any time. You can receive your personal data for data transmission in electronic form. Please contact us either by post: Viconnis Test Technologie GmbH, 22051 Hamburg, Christoph-Probst-Weg 4, by phone: +49 (0) 40 822 969 49 or by e-mail: ds-gvo@viconnis.de. If you have any questions about data protection or if you see a reason for submitting a privacy complaint, you can always contact us via the communication channels just mentioned. In addition, the Hamburg Commissioner for Data Protection and Freedom of Information is available as contact person.